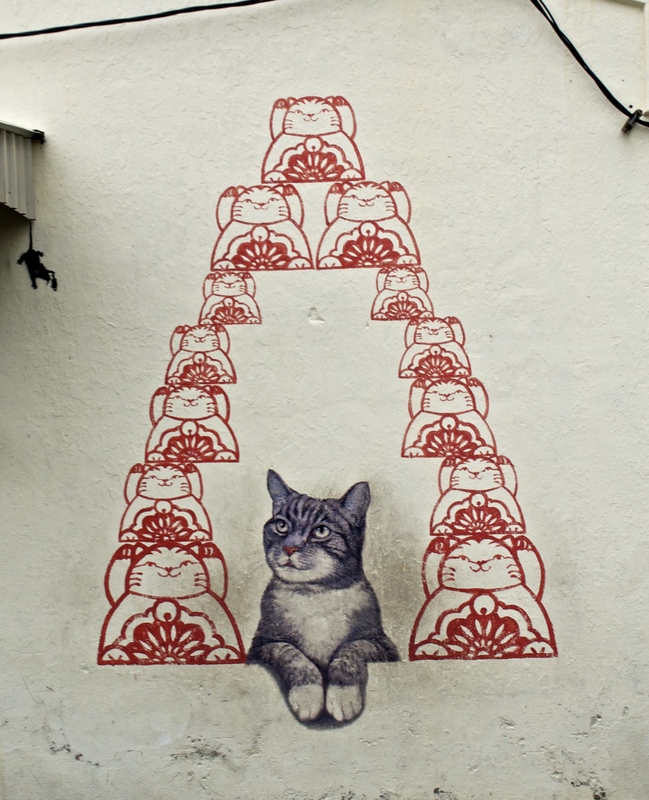 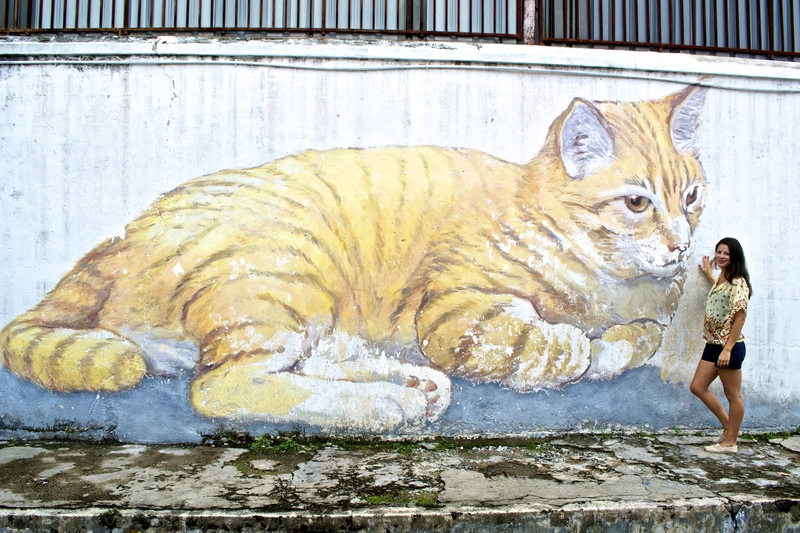 One of many cat murals in the city. 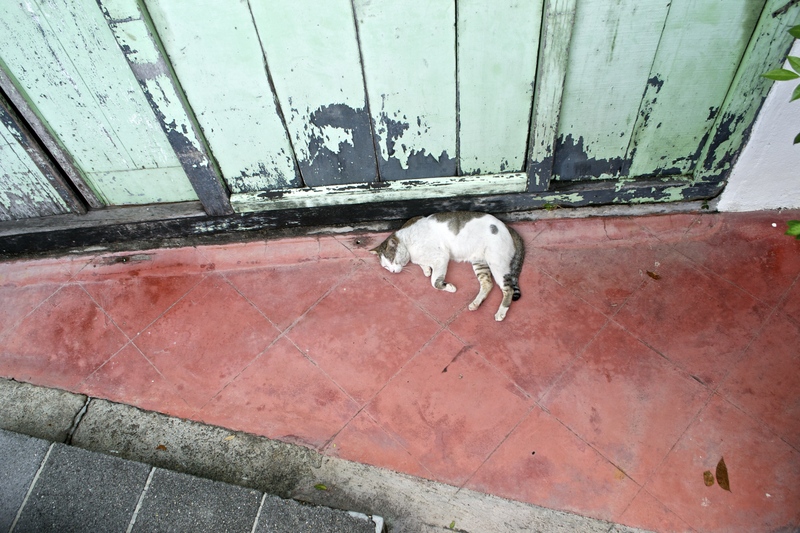 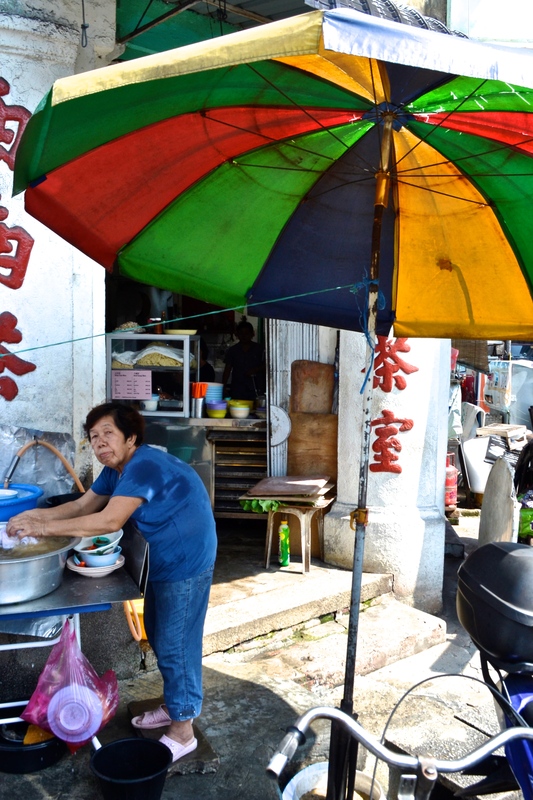 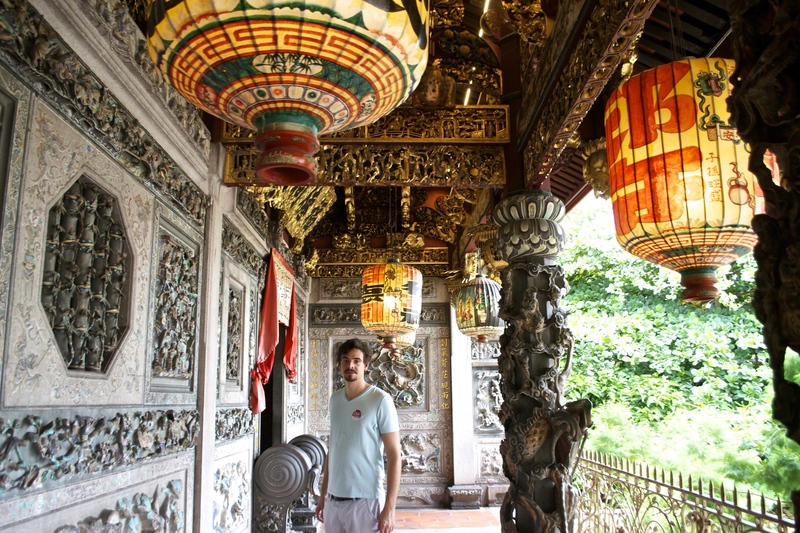 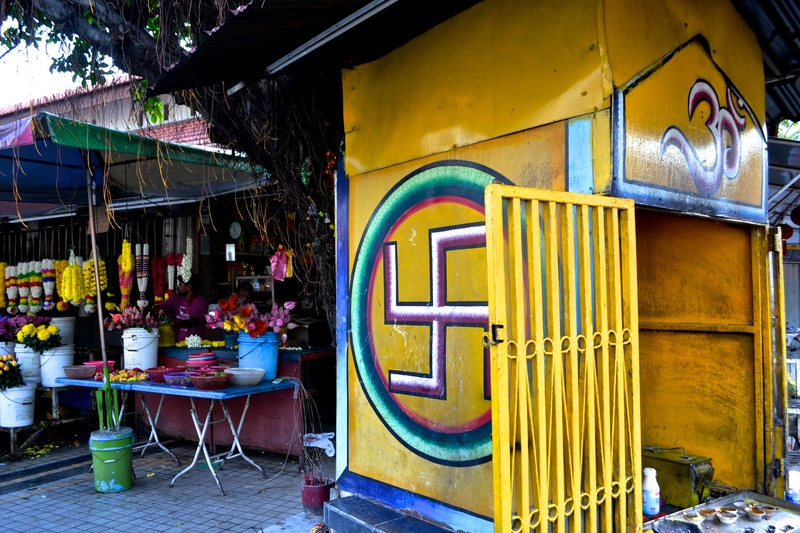 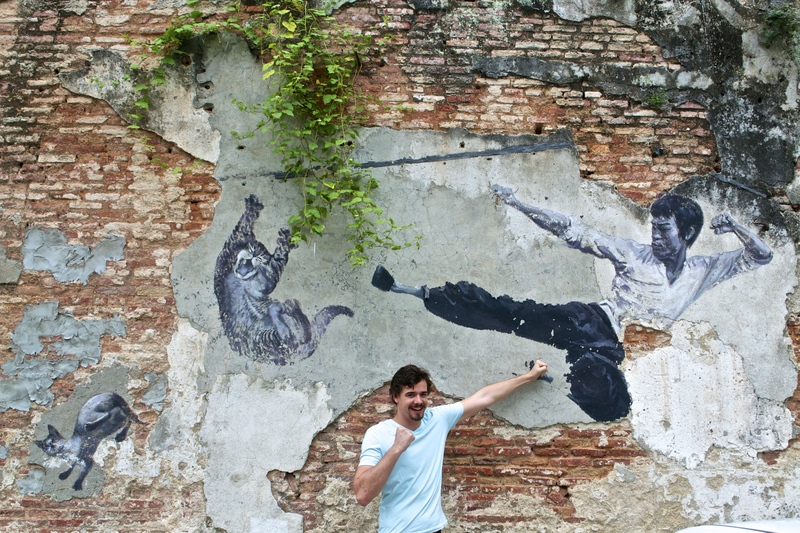 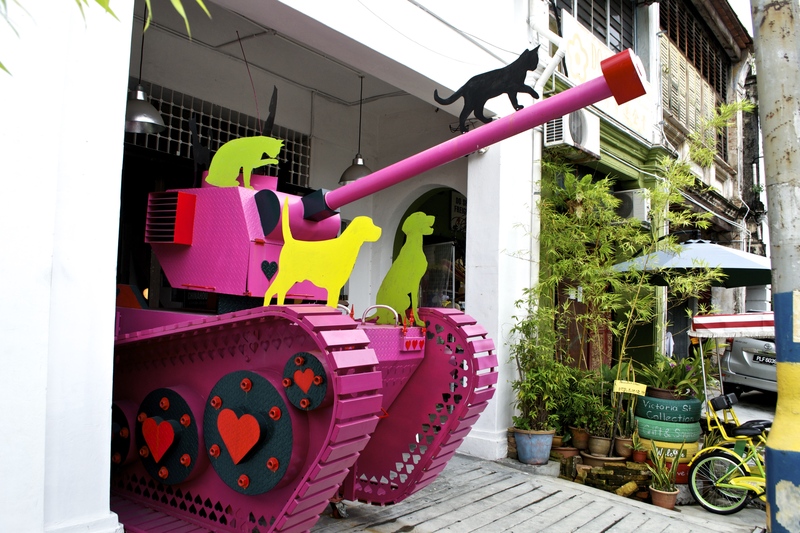 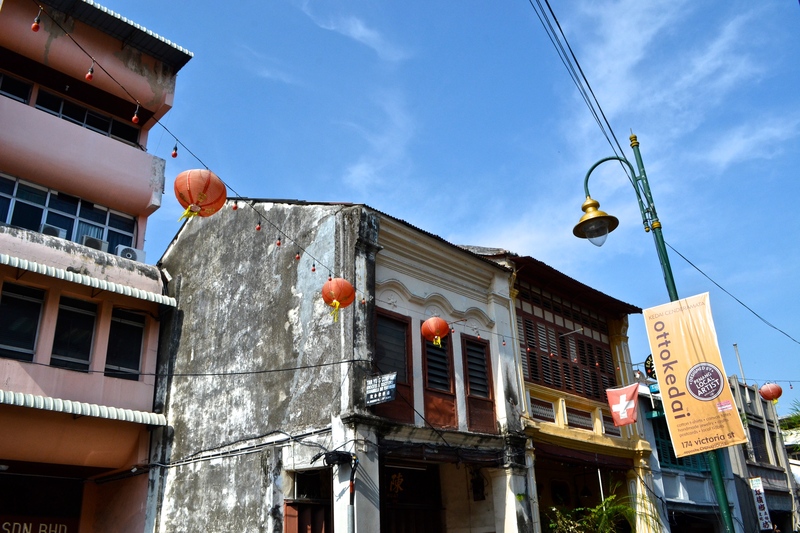 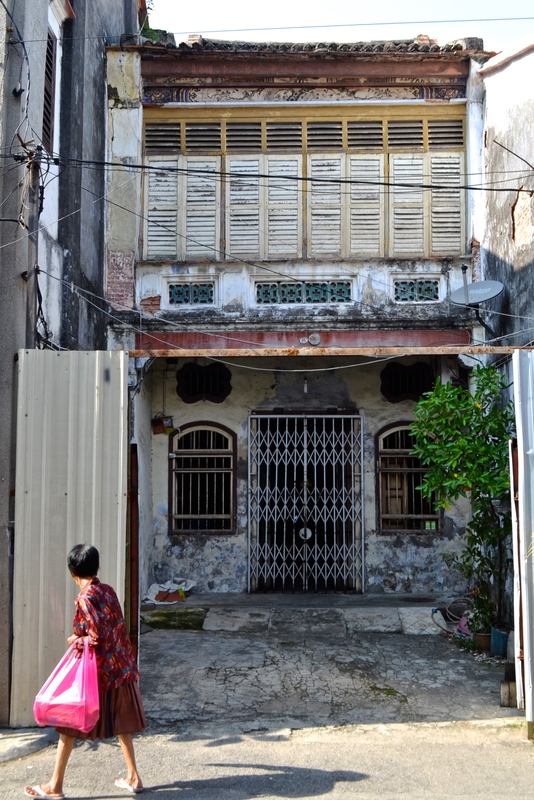 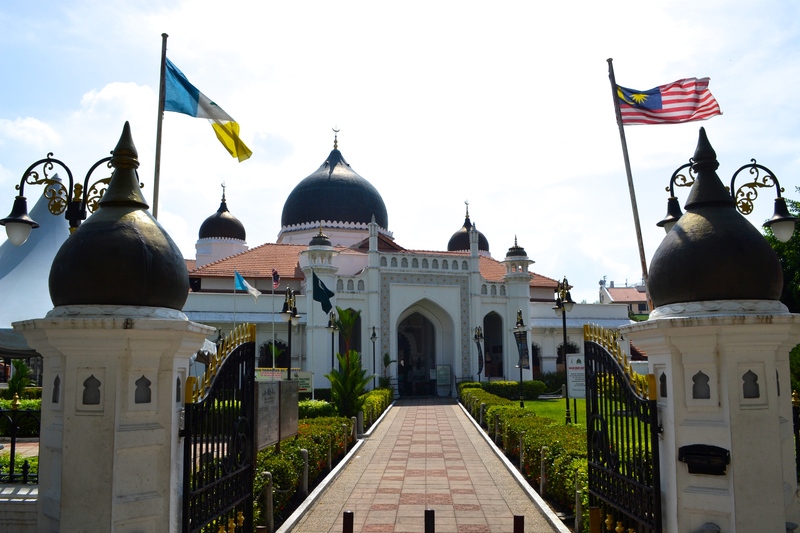 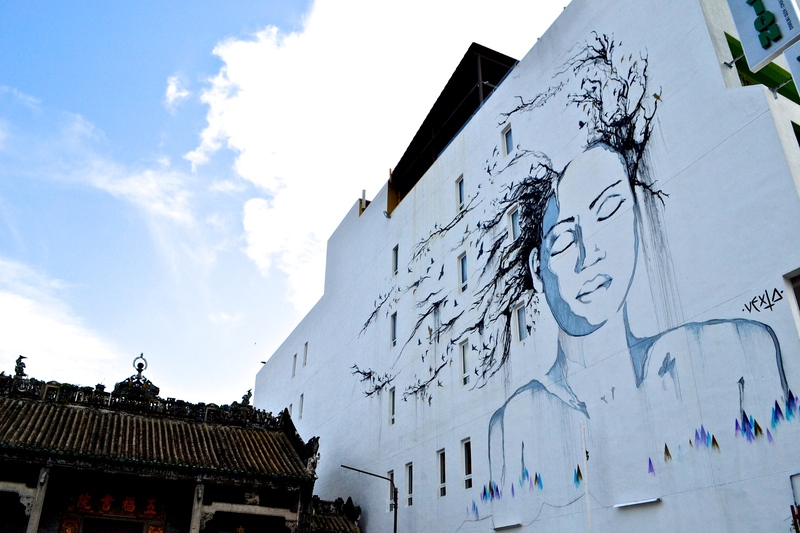 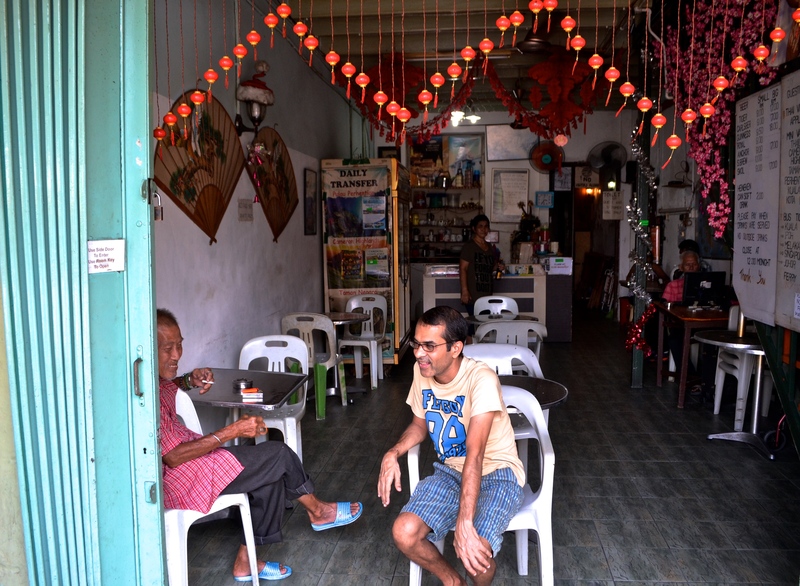 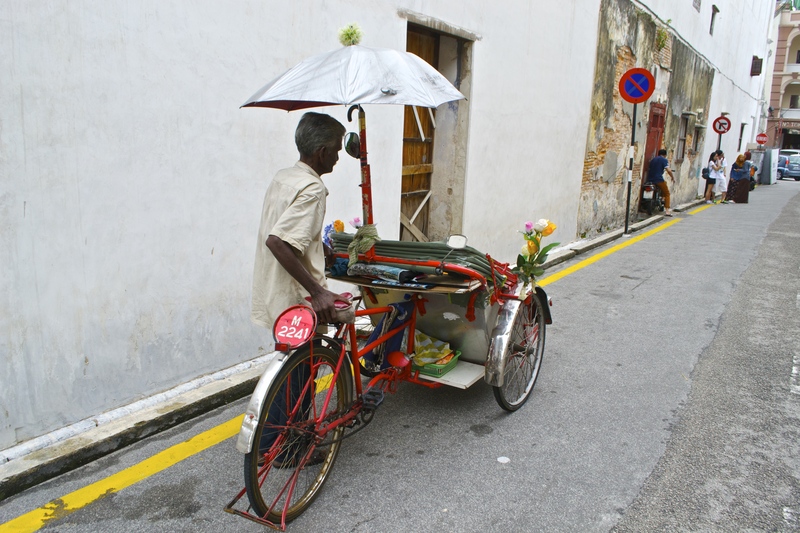 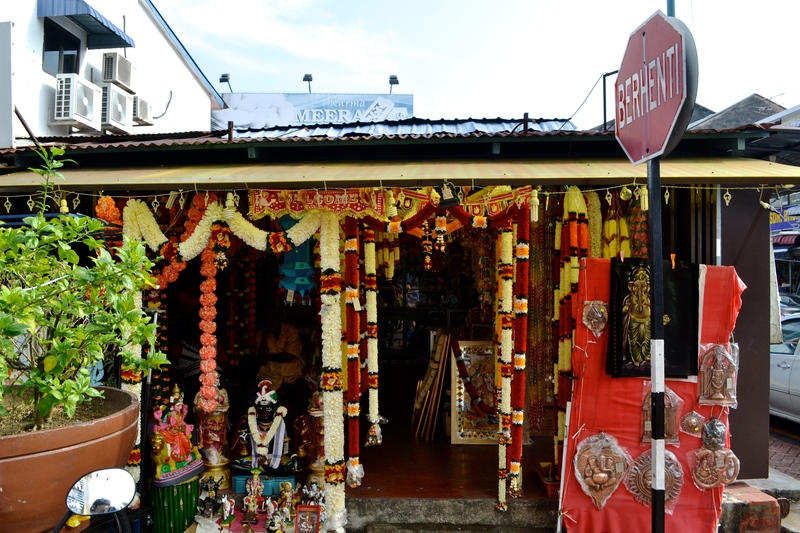 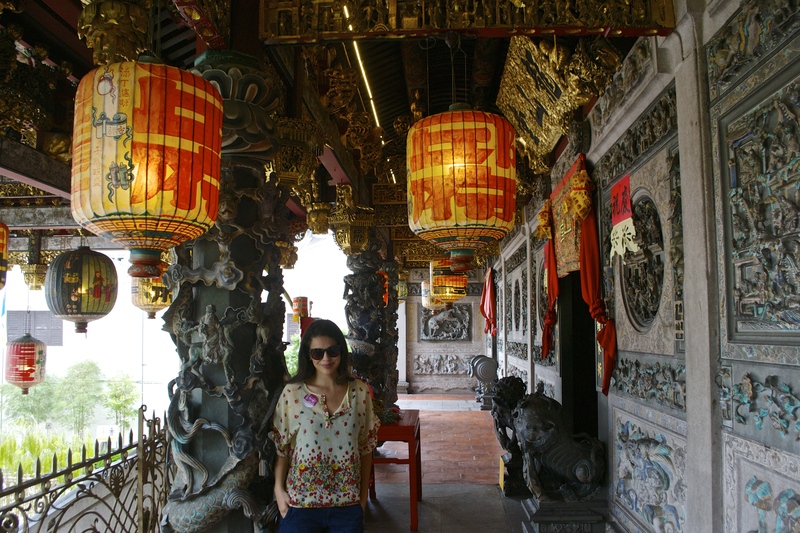 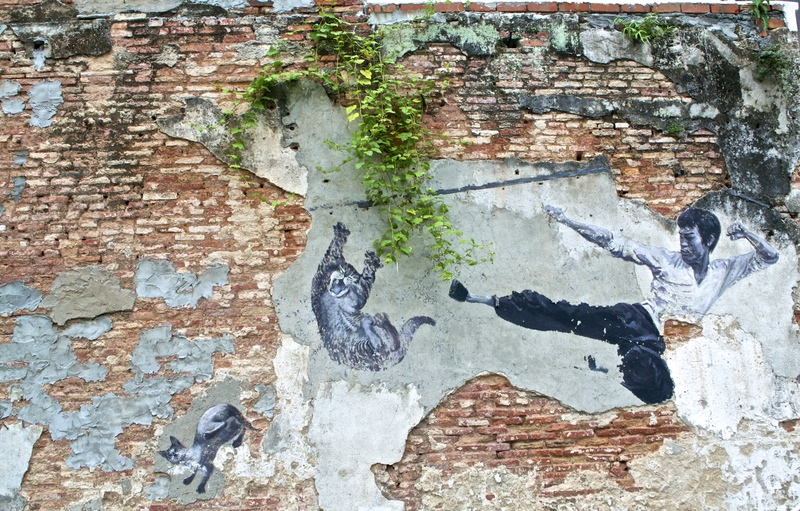 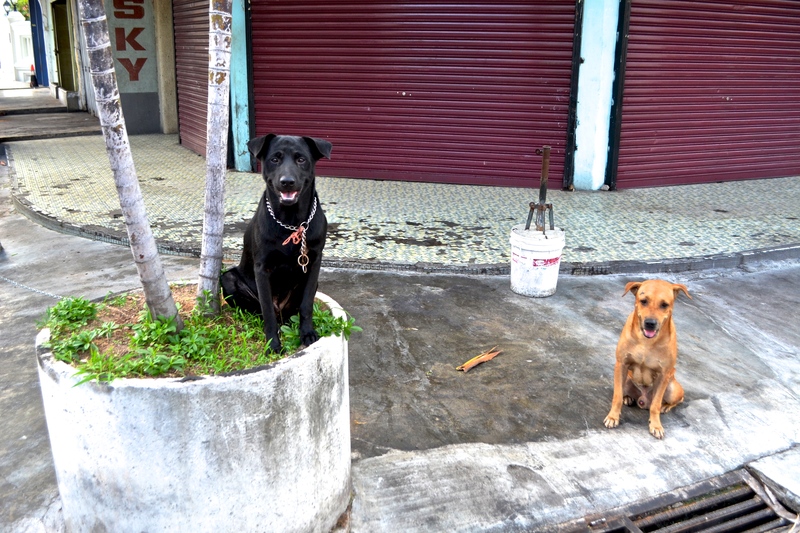 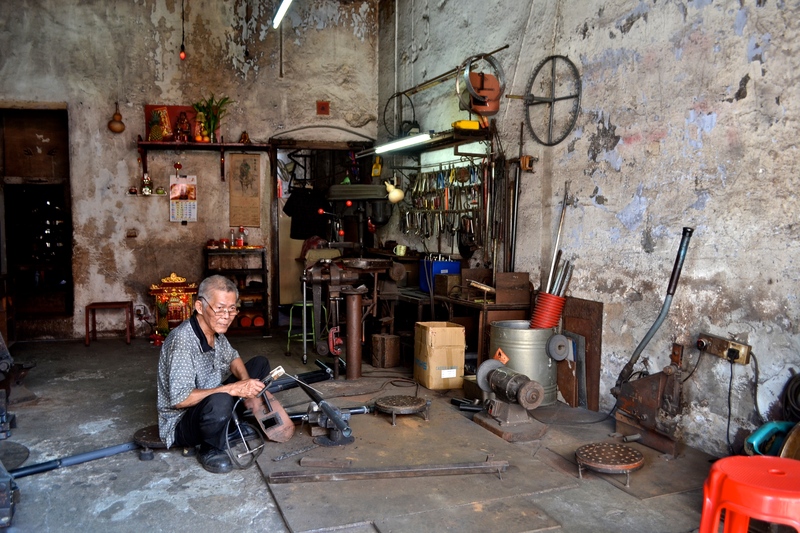 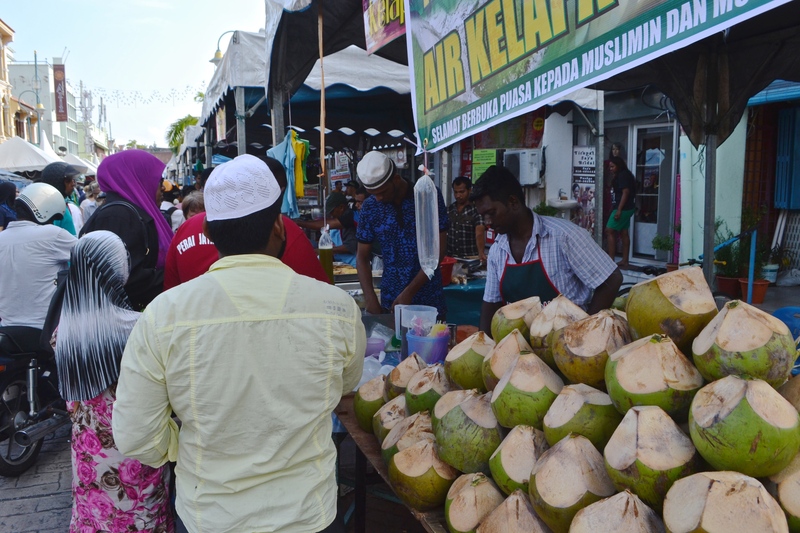 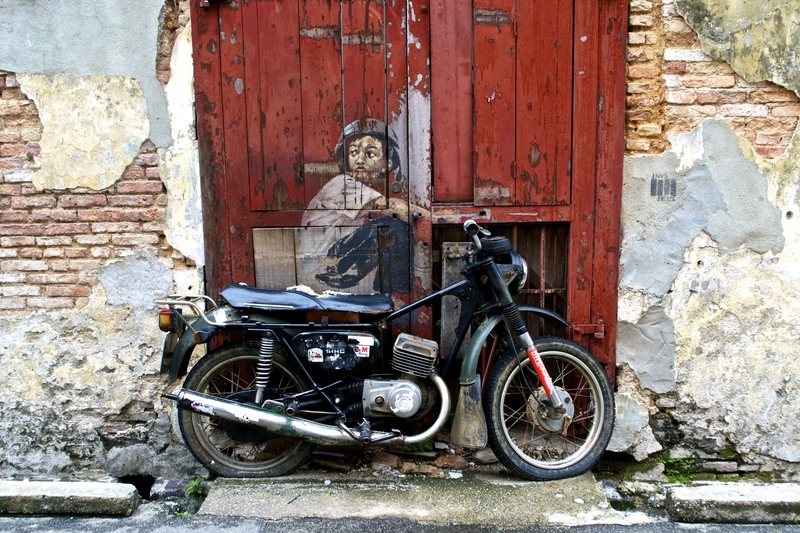 George Town, Penang is a quirky show of Malaysia’s artistic and culinary pride. 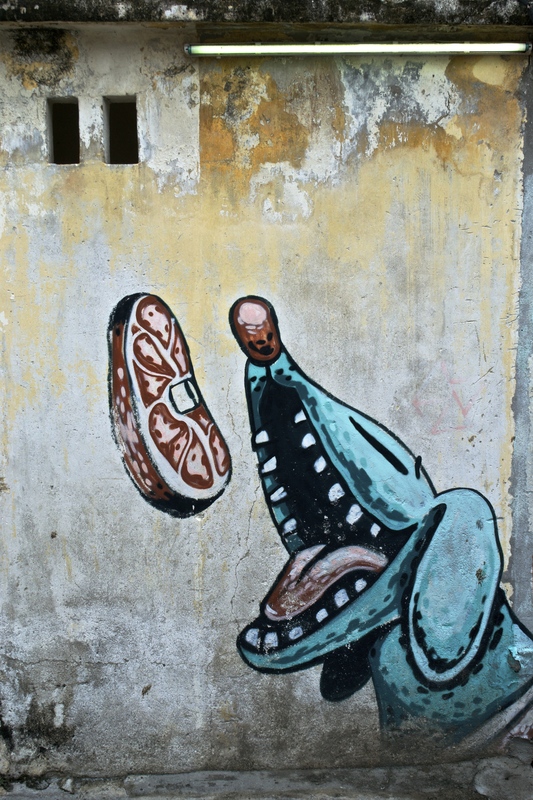 Ask anyone and they’ll say this city reigns supreme as far as street food and street art are concerned. 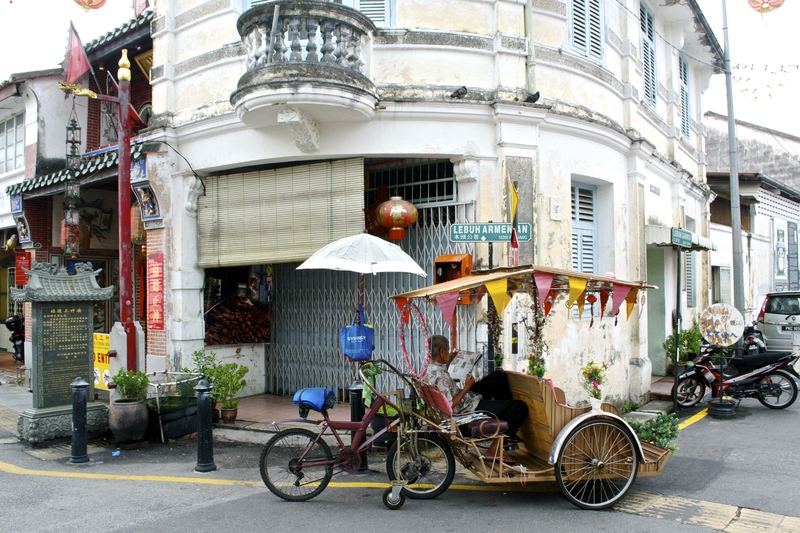 The island may only be three hours from the Thai border, but it retains a character all its own, not to be mistaken with any other country in SE Asia. 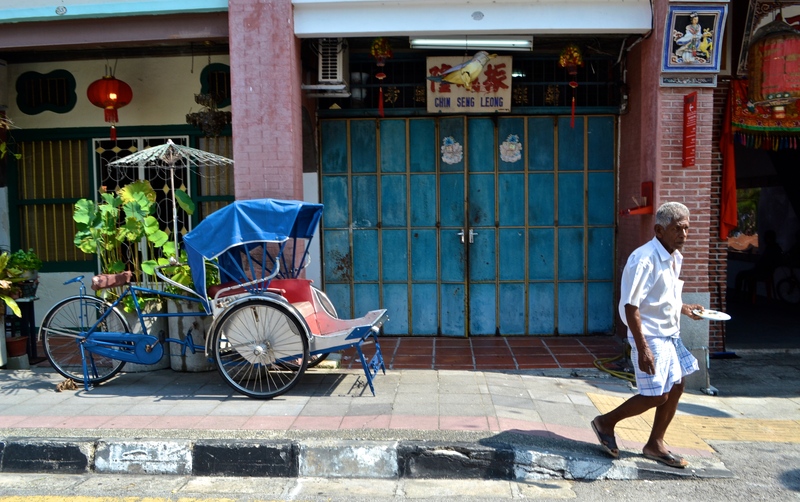 Food and art masterfully intersect here and the vibrant Malay, Chinese and Indian cultures shine through on every small walkable street. 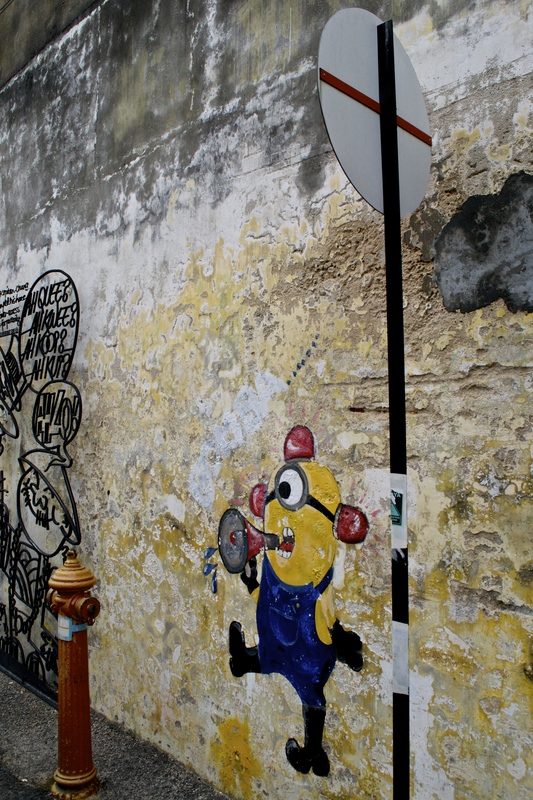 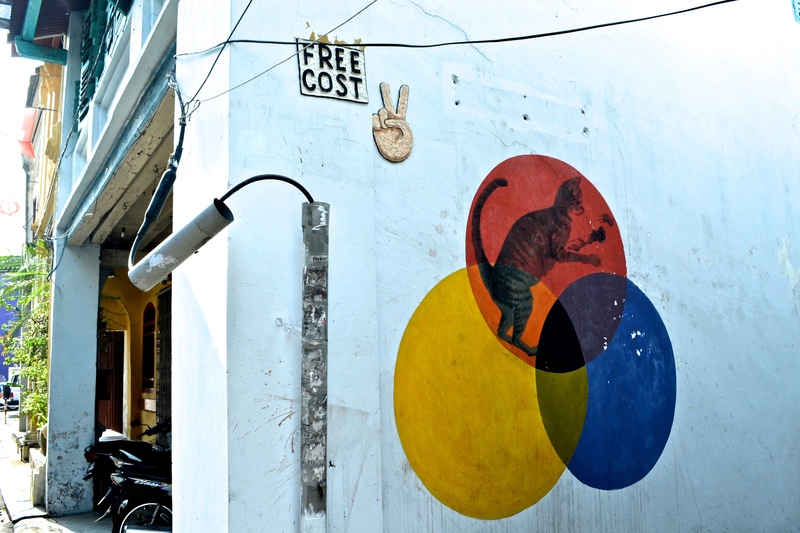 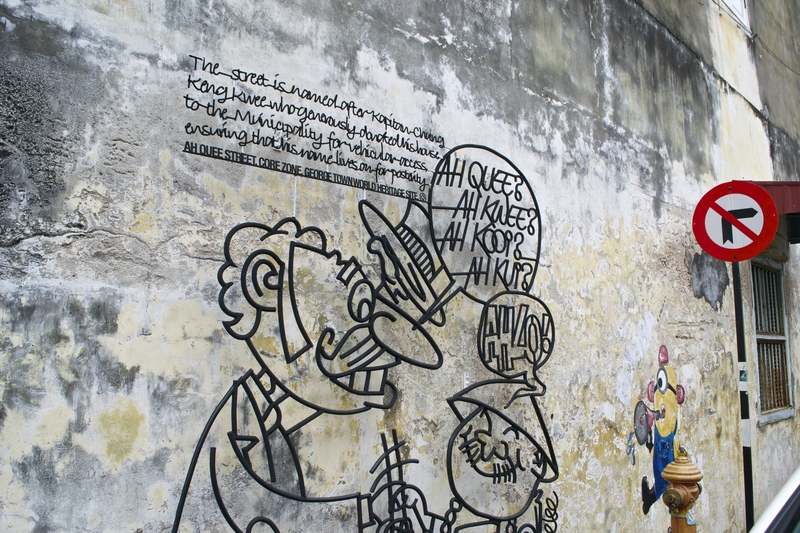 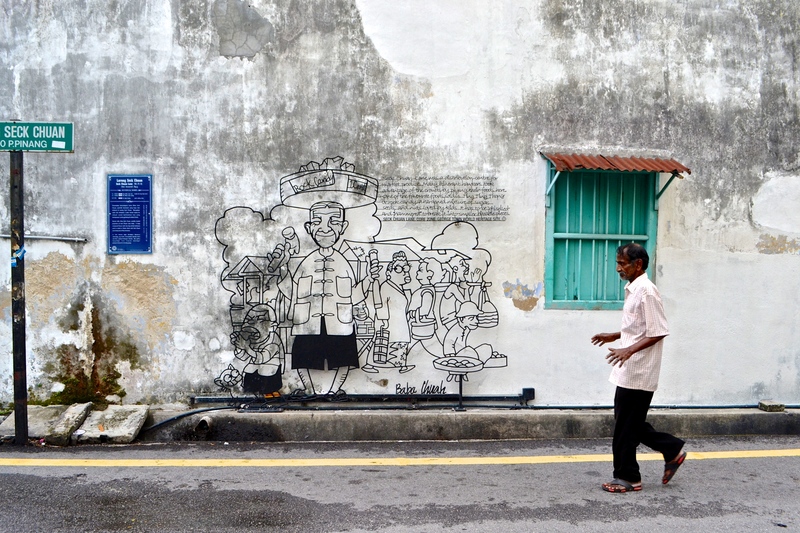 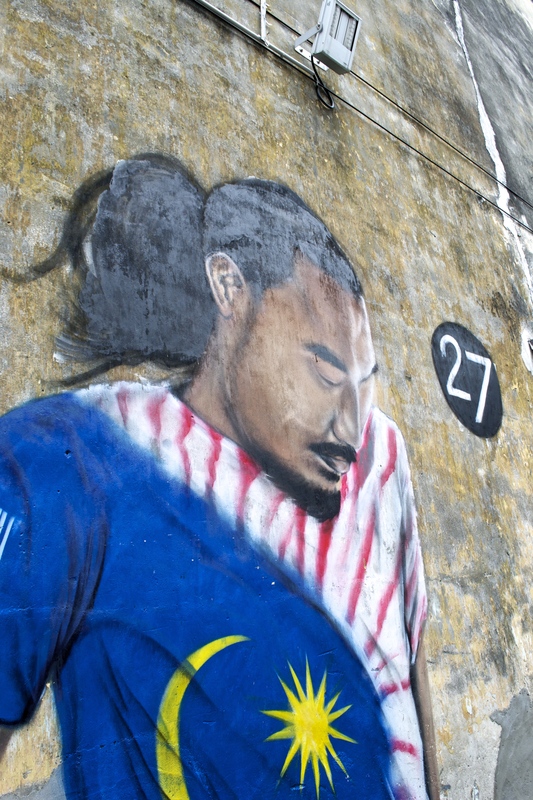 We’d heard rave reviews about the hawker stalls and restaurants in the historic center, but I was most excited to walk around and find the amusing and beautiful displays of George Town’s famous street art. 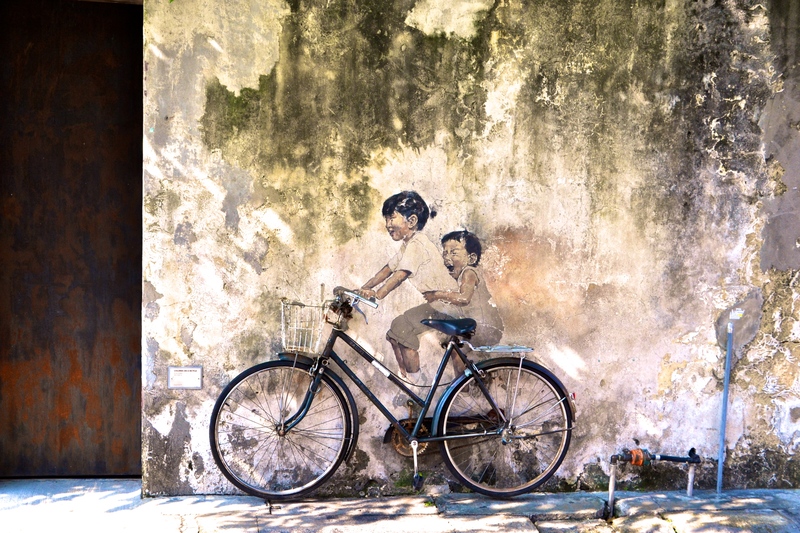 A young Lithuanian artist named Ernest Zacharevic decided to make his mark on the town and has peppered them around the city; it’s almost like a fun treasure hunt to find them or to stumble upon one. 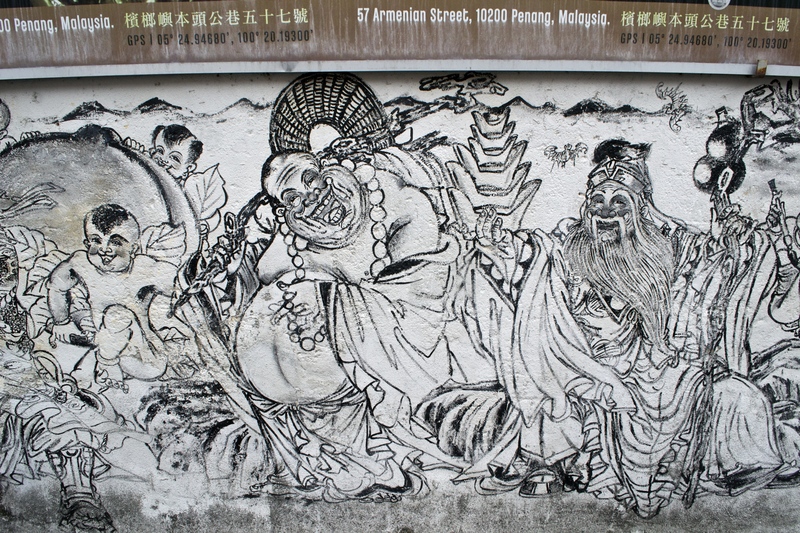 The murals and iron caricatures themselves are a tourist attraction with hoards of hopefuls waiting in line to pose in front of a giant cat, minions, kids on a bike, or Jet Li kung-foo kicking cats. 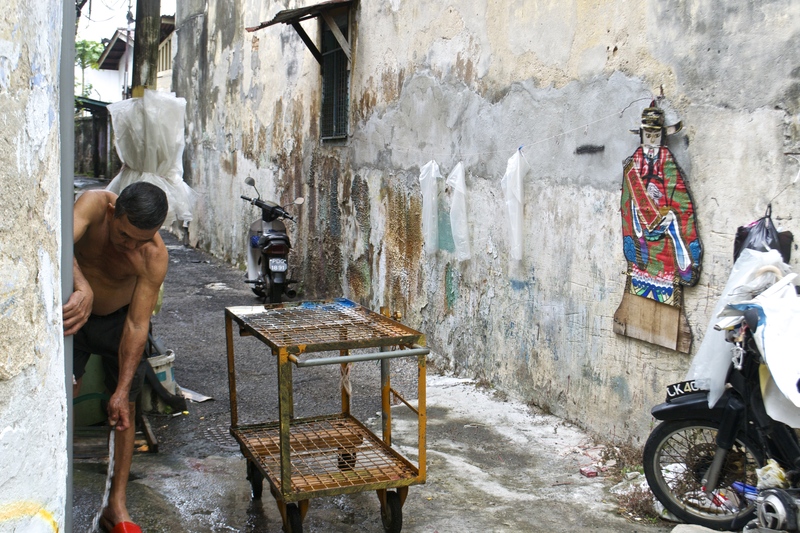 From venturing through history-laden lanes to eating all the hawker delights in sight, George Town certainly impressed me as the UNESCO world heritage site that it is; 500 years of trading and cultural exchanges between the East and West and now the small island of Penang (often compared to Melacca) has carved out a place as one of Malaysia’s most interesting places.